St. Patrick’s Day happens to be a big celebration in Southern California. If you want to unleash your Irish spirit, but you don’t have any idea on what you want to do we have something on this list for you. Without further ado here is your guide to fun for St. Patrick’s Day in the Los Angeles area. 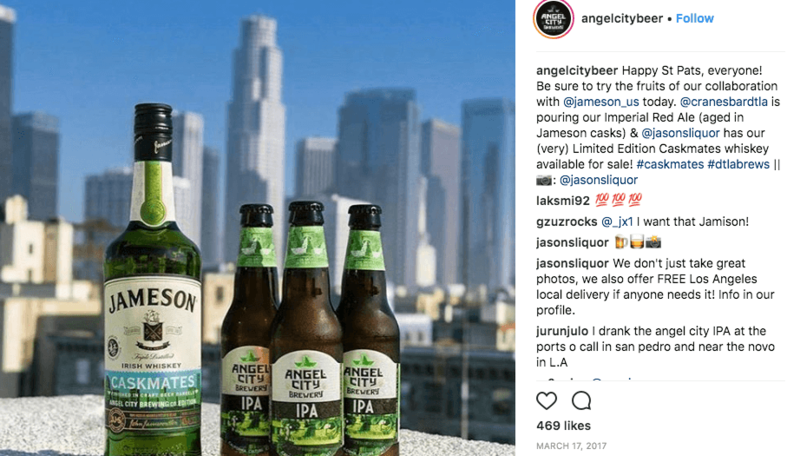 Angel City Brewery is throwing an St. Patrick’s Day celebration where you can get Corned beef tacos from Downtown taco Co, Irish Coffee Stout, listen to Irish songs, and live performances by special musical guests. The music stops at 7pm, but the drinks keep pouring until 2 am. The following Bars and Pubs are the best of the best when it comes to celebrating St. Patricks Day in Long Beach or Los Angeles. You can always find a nice Irish beer and foods at these establishments! At the Whale and Ale, you can enjoy Corned Beef, Guinness, Fish & Chips, Shepherd’s Pie, Irish Whiskeys or Irish Coffee, live music & many more treats. If you like Corned Beef and Cabbage Ye Olde King’s Head will have that plus a DJ, Bagpiper and Green Beer. At Molly Malone’s you can always walk in and find some traditional Irish cuisine and St. Patrick’s Day is no different. Come to Molly’s for some nice corned beef sandwiches and O’Brien Fries. Timmy Nolan’s is located just outside of Los Angeles, but if you want some traditional Irish grub then this tavern and grill is the place for you this St Patrick’s Day. If running is more your style then these two 5k runs are happening on St Patrick’s Day as well. One in Redondo Beach and the other in Van Nuys. Remember that St. Patrick’s Day should be a safe holiday. Please be safe and do not drive drunk. Always make sure you have a designated driver and if you don’t, do yourself a favor a download the RideYellow app.